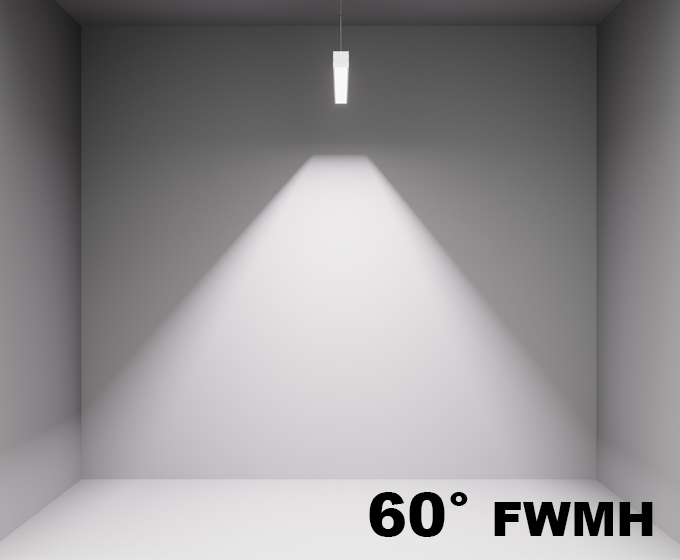 Use our 6ft 60 degree FWMH Suspended Linear LED Fixture where lighting efficiency matters most! Advanced integrated optics allows this pendant mounted fixture to get you the lumens where you need them! 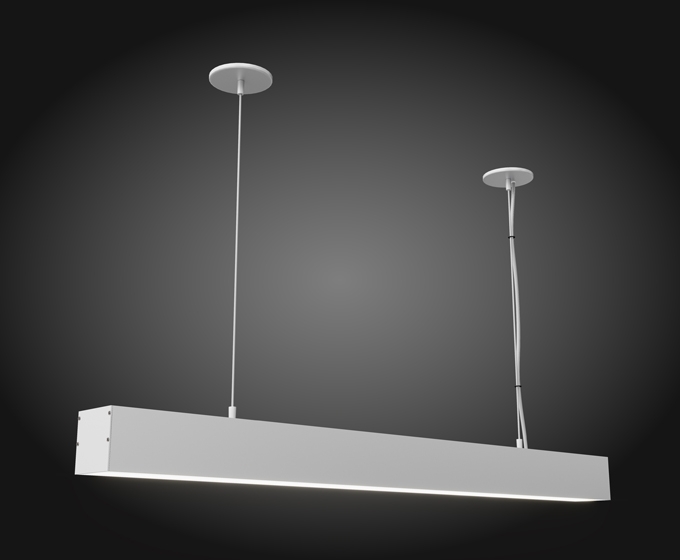 High-Optical efficiency and extra-long lifetime makes our 6ft 60 degree Suspended linear LED fixture an excellent solution for commercial and industrial spaces. Semi-Narrow 60 degree light distribution patters is ideally suited for spaces with very high ceilings, task-lighting, and other commercial lighting applications. 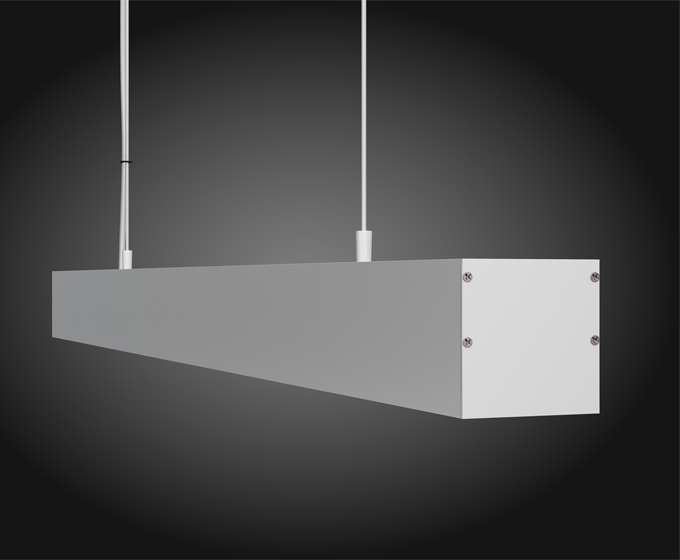 Our 6 foot 60 degree Suspension LED Fixture can be pendant (suspended) mounted on any surface: drywall/sheet-rock, concrete, T-bars, etc etc. They are available in 3 attractive color temperature offerings: 3000K, 4000K, and 5000K. 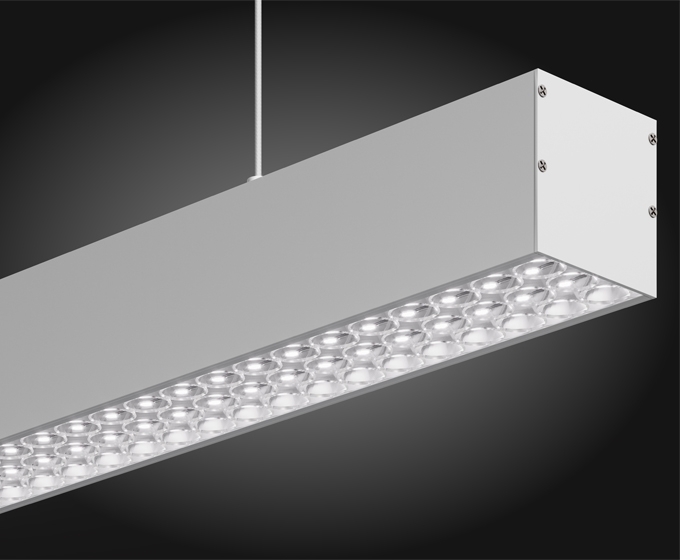 Our 6 foot 60 degree 3" x 3" Suspended Linear LED Fixture is available in dimmable (0-10V dimming) and non-dimmable (switched on/off) dimming options. 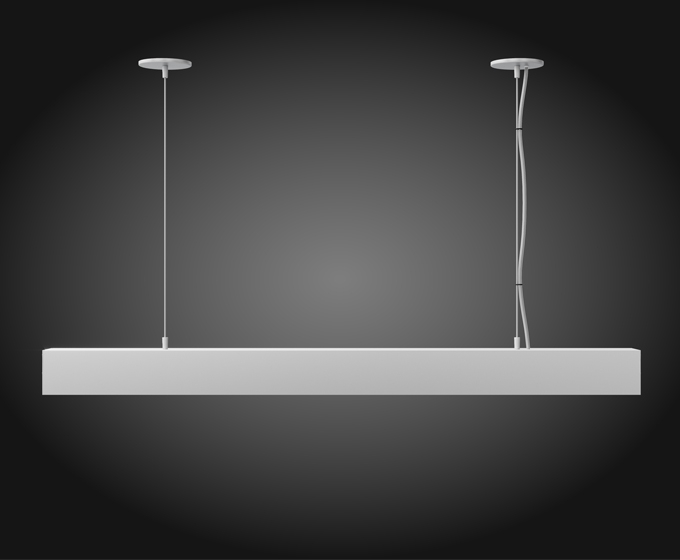 Our 6 foot | 3" x 3" | 60 degree Linear Suspension LED fixture is ready to illuminate and includes suspension cables, but requires mounting hardware specific to your installation and mounting surface. View mounting options below for more information on mounting hardware.